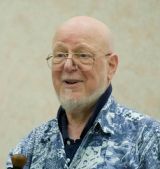 Jerry Weinberg published more than 40 books, 400 articles and is a charter member of the Computing Hall of Fame in San Diego. He received the J.-D. Warnier and the Stevens Award and has influenced the IT industry since he began his career at IBM in the 1950s. Jerry authored "software classics" such as Exploring Requirements, Are your Lights on? and about writing itself, called the Fieldstone Method. In this episode, Jerry shares some insights into problem solving, requirements work, leadership, writing methods and how this all relates to agility.